Every entrepreneur wants to scale their business by automating as many tasks as possible while also giving each customer that magical personal touch throughout their buying journey to create a memorable brand experience. Inspiring an emotional connection with consumers, B2B or B2C, has always been a Herculean task but with the increase in number of touchpoints customers have with brands today, it is now upgraded to be a Leviathan challenge. Consumers, especially decision-making B2B consumers most sales agents are fond of, have developed a strong nose to detect any kind of automation in their day-to-day interactions. The key to standing out lies in targeting the feelings that drive a target customer’s behavior. Motista, a consumer intelligence firm, calls these feelings “emotional motivators” that can lead to repeat purchases. Another piece of research shows it is the holistic customer experience across brand touchpoints that influences behavioral intention. Why are repeat purchases important? Monetate has revealed the value of repeat purchases is greater than purchases made by new customers across several categories of products. To recap up till now, businesses want to scale and automate management of relationships with their customers but they also need to forge emotional bonds with them so they come back and buy more because that will bring them more revenue on an ongoing basis. The traditional method of using CRM software involves tracking customers through phone calls, conversation notes, and emails. Each customer will have a profile page with their communication history with your brand and the kind of data that can be inferred from traditional contact with the company. 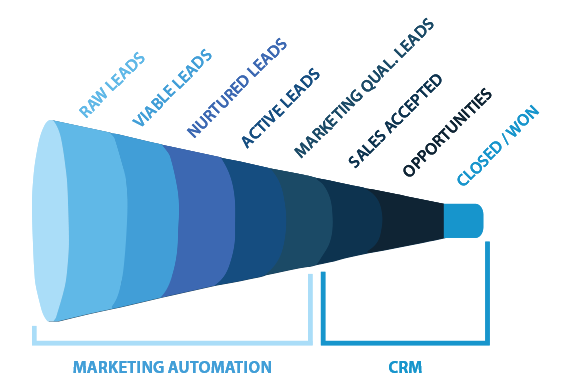 Perhaps you complement your CRM strategy with some business intelligence software to cover the full sales funnel? Either way, this is typically a one-directional process, where the customer is moved down the funnel with the end goal often being a singular purchase. That works out perfectly while targeting new customers, but we’re focused on returning customers in this post because of their longevity, so some tweaks are in order. So we need to leverage social media management software solutions (SMMS) in conjunction with our CRM strategy to create the ‘social CRM’ you need to encourage repeat purchases. 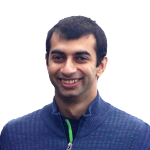 Let’s take a look at the key players, in case you are new to the SMMS market. Your eventual software cocktail will tie in social media and sales with your overall business and sales strategy and give you the ‘social CRM’ you need. With a social CRM, the communication between consumer and company is collaborative, and more often than not, the power dynamic shifts in favor of the customer, largely due to the fact that customers can choose their own avenues of communication in a relatively unrestricted environment. This is in stark contrast to waiting at the back of a telecommunications queue, or waiting multiple days for an email response. A recent Forrester study showed that over half of online customers in the US will abandon an online purchase if they fail to find answers to their questions immediately. How can you incorporate your Q&A section into your CRM? One idea is to identify keywords that trigger automated responses to your customers. The general idea here is to allow customers to serve themselves better so that they get the answers they want immediately, either through social media and chatbots, CRM-triggered emails, or your website interface. The omnichannel approach is for you, not your customer. By using a social CRM, you are able to harness the power of SMMS by replying to Twitter users via Twitter DMs, and Facebook users via Facebook Chat, for example. You are not trying to dig out their email from social media so you can bombard them with your newsletters. Additional value can be derived from the use of an SMMS by integrating it with data captured by a traditional CRM, allowing sales, content and helpdesk teams to visualise information in a single dashboard. Your CRMs, websites, blogs and social media are loaded with useful data. One way to establish a deeper connection with your customers is to surprise them with relevant information that goes beyond wishing them on their birthday once a year. For example, Etsy surprises shoppers with suggested items that are so ‘on point’ shoppers are impressed, engaged, and often return to make another purchase. Another example is Netflix, which uses machine learning techniques to suggest other content viewers might be interested in. 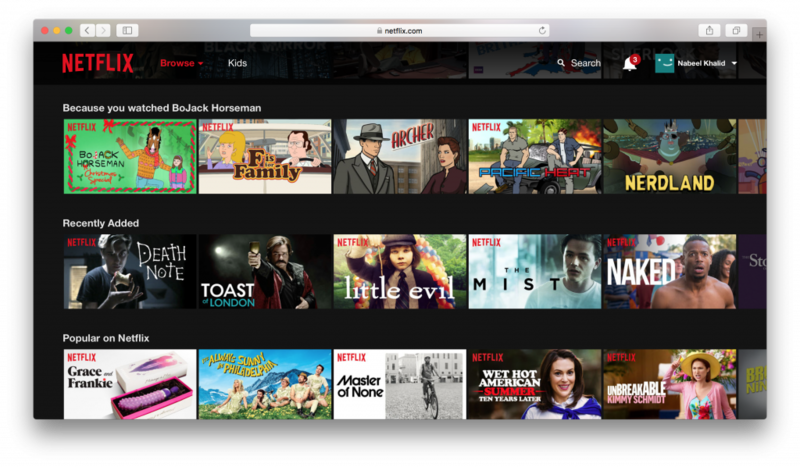 Netflix thinks I should watch Nerdland next just because I’m currently watching Bojack Horseman. I might get lucky again. Every smart business today is gathering data to leverage data science tactics in the future, but you can do that today with your social CRM. Combining your CRM with an SMMS to formulate a social CRM gives the illusion of the customer and company being on comparable footing thanks to direct engagement. This gives the impression that the company brand is a member of the community. It’s a great idea to reinforce this impression by engaging in relevant communities, whether it is by doing relief work, making donations, or running a neutral forum online. The keyword here is ‘conscientious’. To drive the connection you have with customers and to drive them towards repeat purchases, it is a good exercise to run campaigns where you collect user generated content, whether it’s a case study from a business customer or a selfie from a consumer, and showcase that in your website, store, newsletter and other content. You can do the same thing with reviews. By doing so, your other customers will begin to find you more relatable and trustworthy. In the social media software infographic above, you can find other tools to further complement the data you have to capture and analyze important keywords that are mentioned by customers online, as well as specific mentions of your brand. There are various PR as well as SEO/SEM software that can also help you achieve this ‘social CRM’. Just make sure you integrate the data from other platforms back into your CRM to keep your influencers engaged with your brand while you monitor trends, keywords and mentions. An emotional connection occurs when your CRM strategy bridges the dissonance between a consumer completing a logical purchase, and a consumer who purchases to fulfill their desire to feel socially accepted, secure and confident. With the right CRM stack, and some of the tips mentioned above, you will be able to formulate the perfect strategy to engage your customers on an emotional level and drive repeat purchases while building an army of returning customers. The best part is, you can start working on this strategy tomorrow onwards, or if you have some time left, even today, thanks to cloud software.